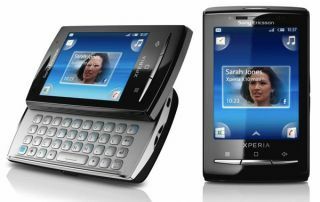 Sony Ericsson has reportedly begun rolling out the Android 2.1 update to its Android range, beginning in Scandinavia. , giving all the Android 2.1 benefits (such as support for better versions of Google Maps, better keyboards and better social network integration). Other key improvements are localised between the devices; the X10 has gained HD video recording with continuous autofocus, and five home screens for more widget and icon placement. The X10 Mini and Mini Pro get improved Bluetooth support, auto-synchronisation between Facebook and the phone book and better content back up. The Xperia X8 will be getting an upgrade in the near future too, although we've yet to get a definite date for that to land. The upgrade is long, long overdue from Sony Ericsson - the Xperia X10 was launched at the start of 2010, and its still running Android 1.6, which is frankly ridiculous when more and more phones are already on Android 2.2. We've contacted Sony Ericsson to see when the update will be hitting the UK, but in the meantime let us know if you're an X10 owner and get any little notifications.